Lladro' (pronounced ya-dro) creations began in 1953 by three brothers; Juan, Jose, and Vicente Lladro'. Their beginning pieces were made in their home in Almassera, Spain. 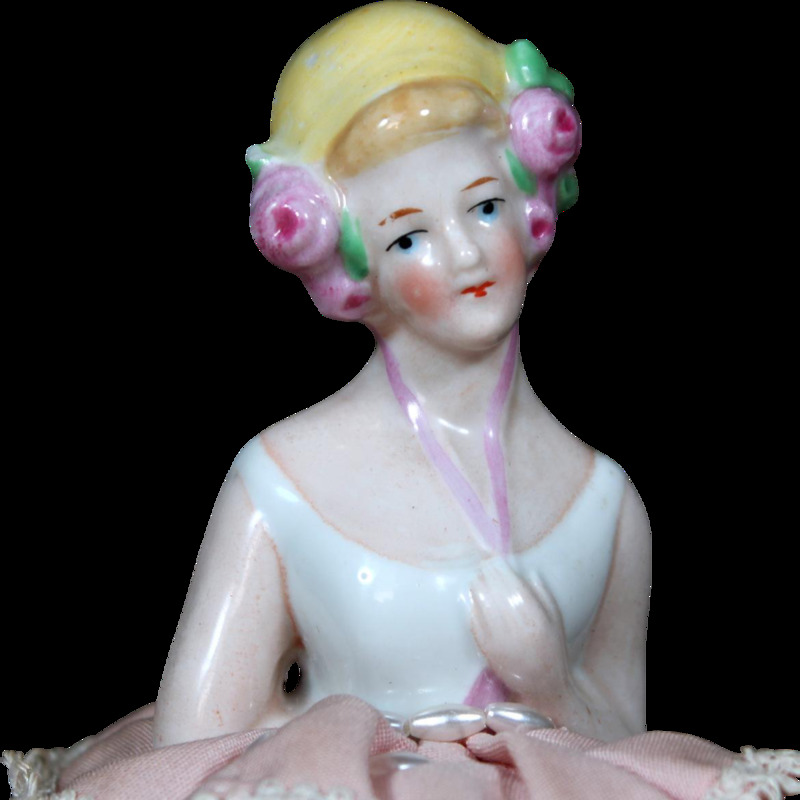 By 1955, they were making sculptures influenced by artists such as Meissen and Capodimonte. 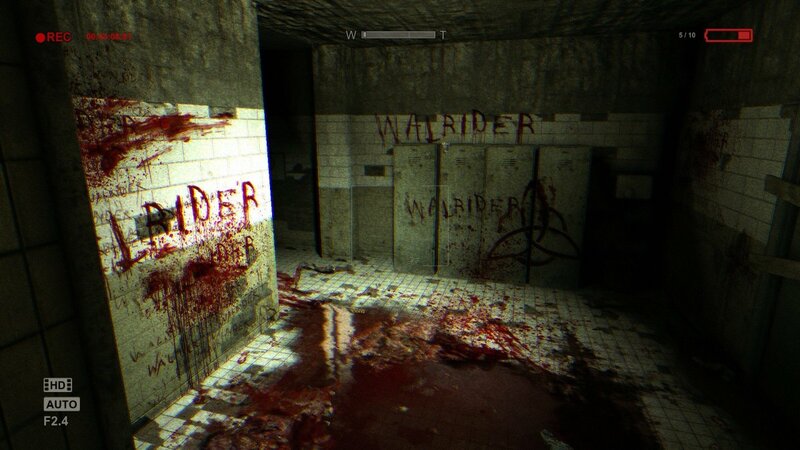 In 1958, the three brothers open a warehouse in a town near their home, called Tavernes Blanques. They decide to create pieces that are exclusively they own designs. By the end of the 50's, they brothers open another store in Valencia with two more to follow in the next few years. In the 1960s, the Lladro' signature on their works included the word 'Spain'. Their works are first introduced to the United States in this decade. 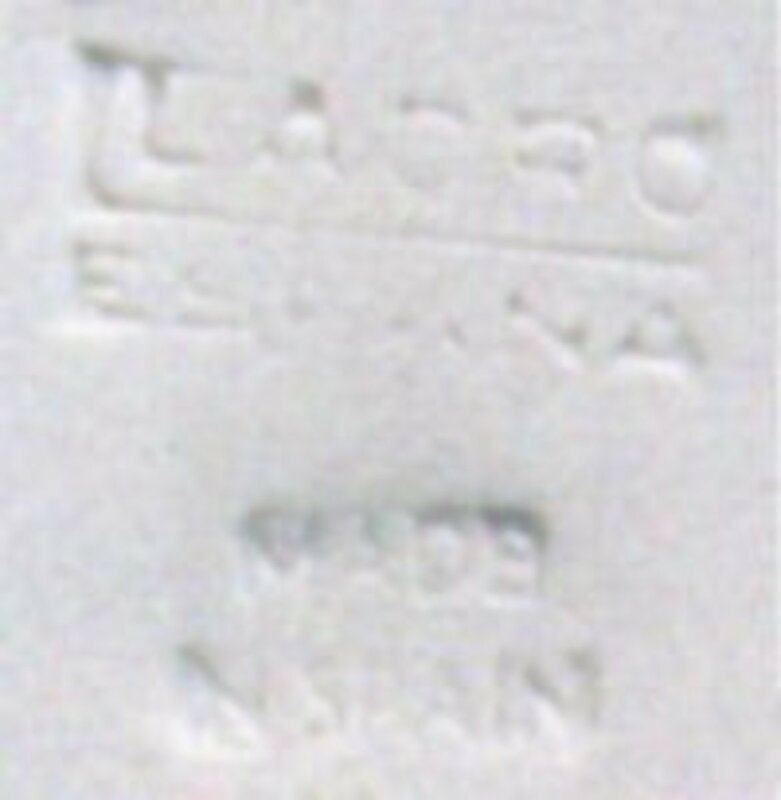 In the 70's, the Lladro' mark is created. 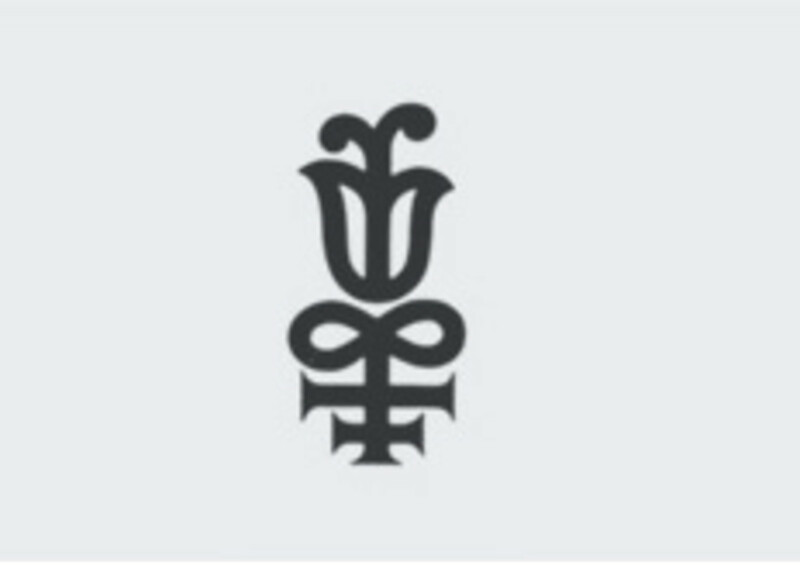 It is a combination of an ancient chemical symbol and the campanillo, a flower from their hometown. 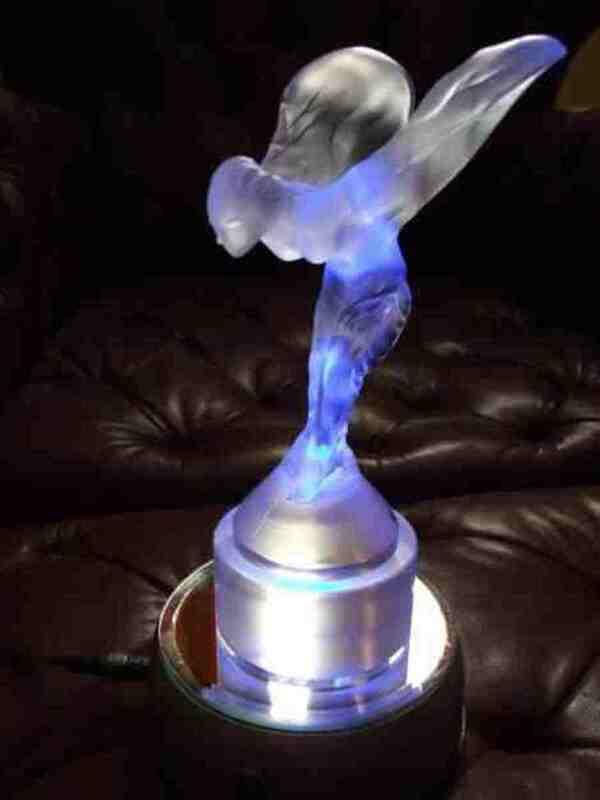 The symbol represents the marriage of art and science. Their surname is marked under this symbol. 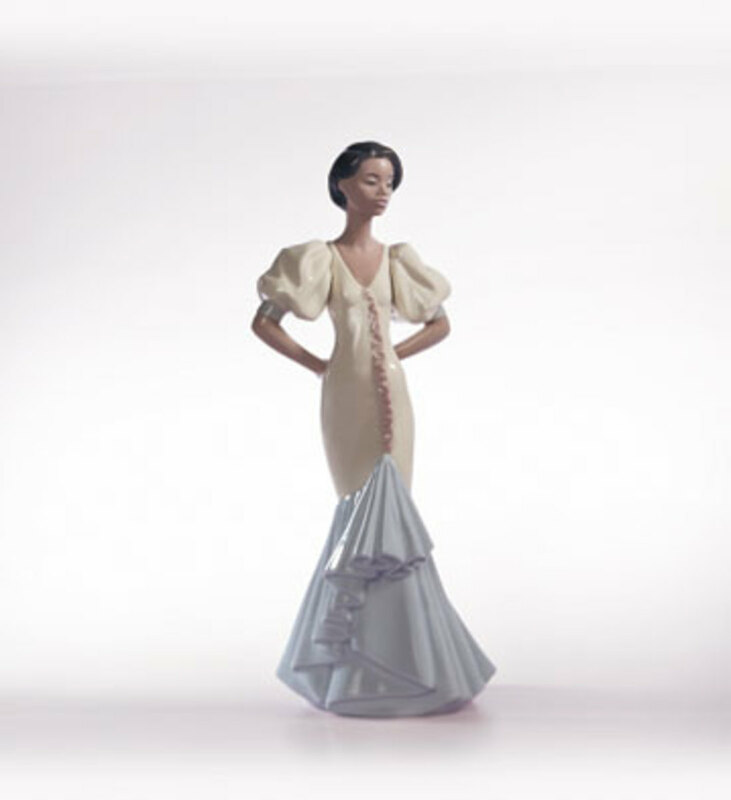 In the early 90's through the beginning of the millennium, Lladro' received three prestigious awards that furthered the interest by collectors: the Príncipe Felipe award for Internationalization in 1993, and for Competitiveness in 1997 and then one for Renown Brand Management in 2001. They now have stores all over the world. It was shortly after this that the three brothers handed over control to the next generation of the Lladro' family. They continue to design figurines. 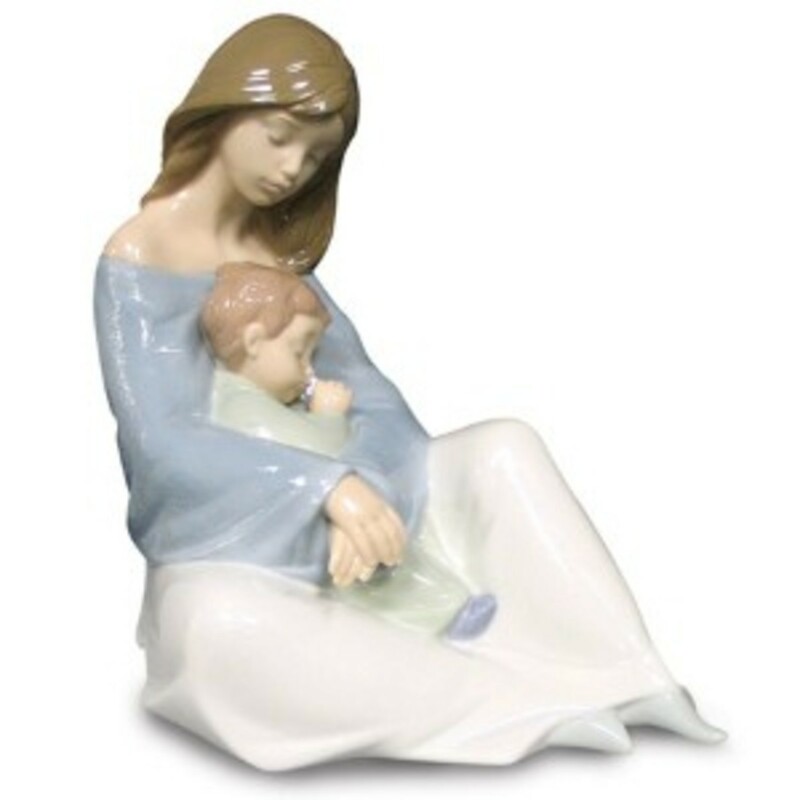 Lladro' figurines are known for their pastel colors, fine porcelain finish and craftsmanship. 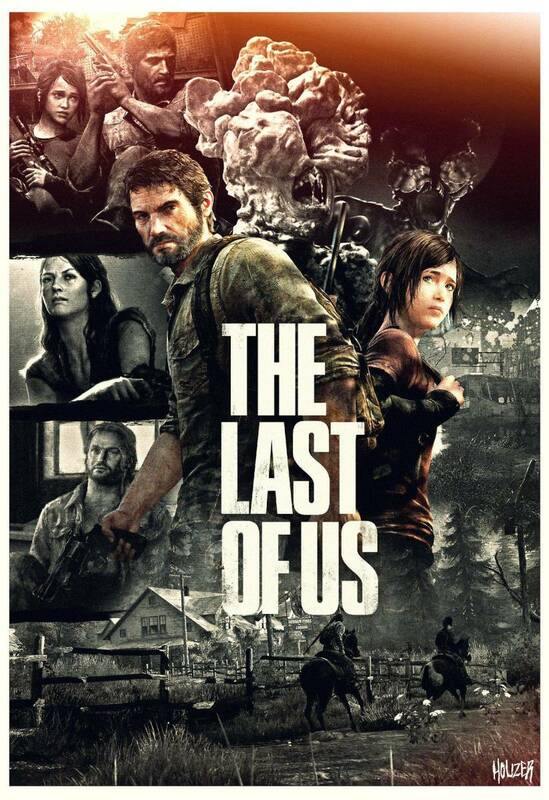 The quality that attracts most collectors, however, is the unique style and themes used in their design. Lladro' typically made much more female figurines than male. This also attracted collectors and surprised many as Spain is known for their machismo. The founders are all male, and all of the known sculptors are male. When you hear the word 'factory' one would expect to see machinery and perhaps different types of presses. At a Lladro' factory you will find sculptors and Lladro' artists. No two pieces are exactly the same. Each piece is touched by the individual artist. Even the paint used will have a different hue depending on the interaction with the kiln's fire. The design begins with design drawings. The figurines are then made about a third larger than the finished product to allow for shrinkage in the kiln. An average piece of Lladro' may consist of dozens of individual molds and can go as high at several hundred molds to make one piece. Liquid porcelain is injected into the molds to make the pieces, then polished, and then liquid porcelain is used again to connect the parts to make the final piece. Each mold will be used up to about forty times before a new mold is required. Each piece is then hand painted by the artists and this accounts for the totally different expressions you might see on the same piece. After the piece is painted, smaller more delicate pieces such as flowers are added. 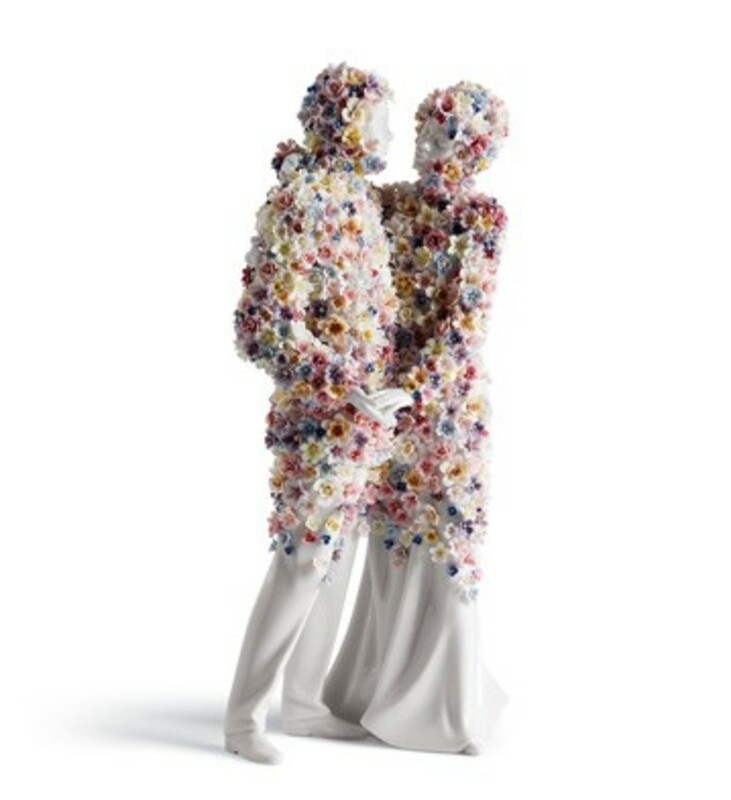 In their infamous flower pieces, this task can be extensively time consuming. The piece is then fired to produce a matte finished piece or the glaze is sprayed on prior to the firing for the glazed pieces. This firing is the final stage. Each piece, as you can see, it handmade in almost every sense. There are three types of finish used on Lladro' figurines. The most common type is the high gloss finish. 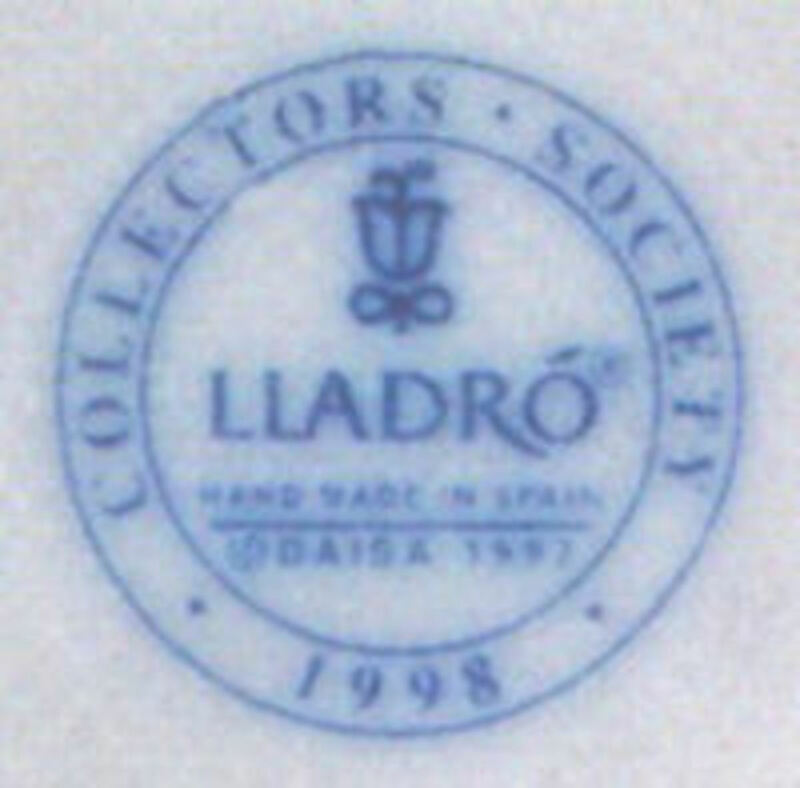 This high gloss is also used by many other makers of figurines, so one can easily be fooled into thinking they have an original Lladro' if they are not familiar with the markings. The second type is the matte finish. The matte finish was mostly retired in the early 90's but a limited amount was produced after that time. The retail market was unreliable for the matte finish. The third finish is a gres finish. 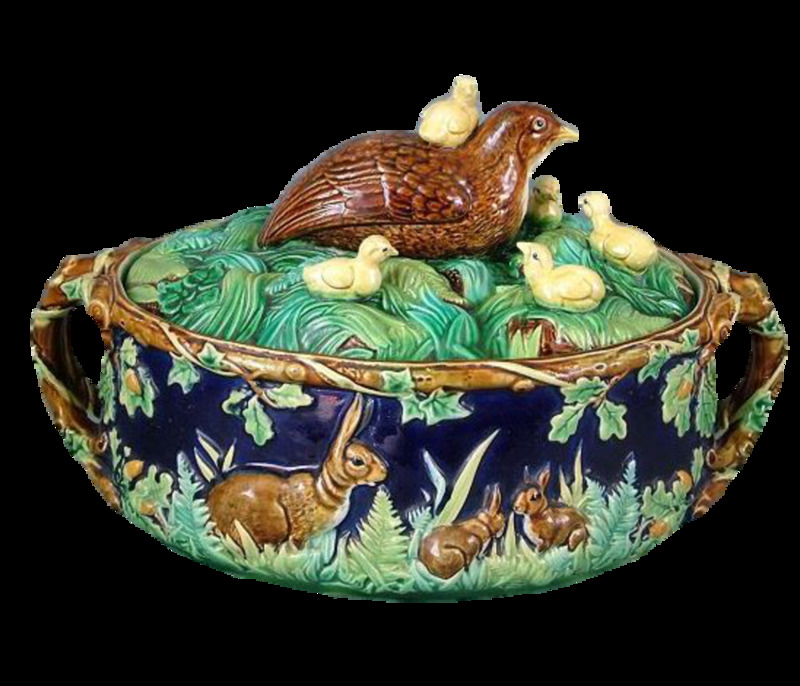 It is similar to a pottery finish in looks but it actually is still considered porcelain. 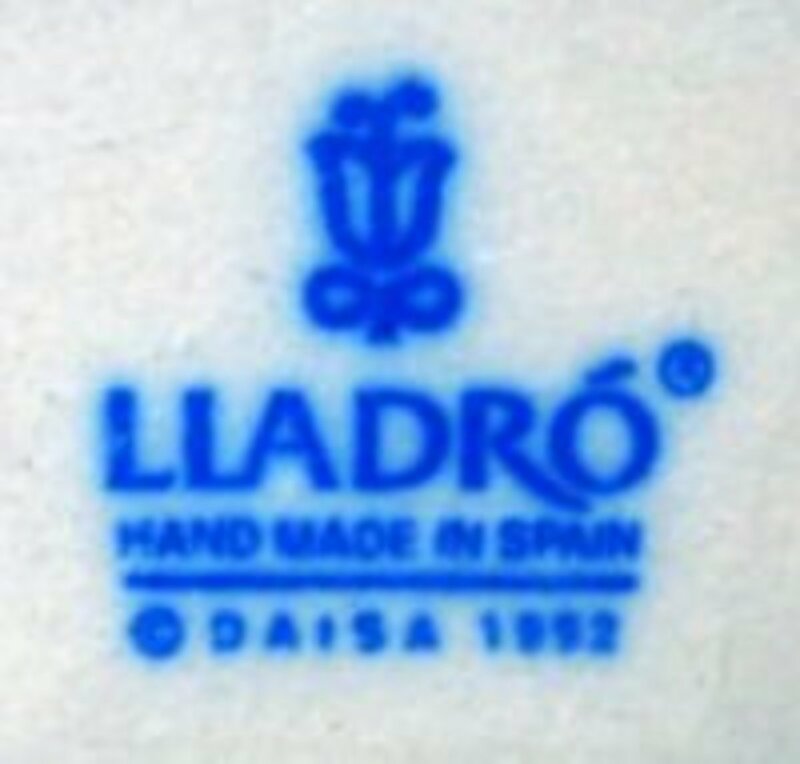 Before you begin your Lladro' collection, it is important to know the Lladro' marks. Like any collectible, there are forgeries out there that are not true Lladro's. 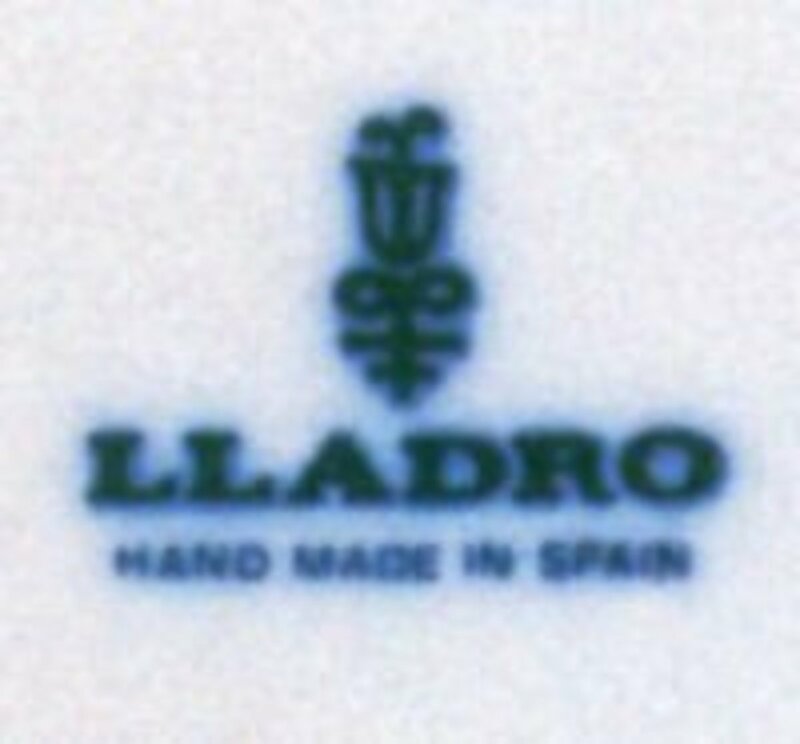 It is also important to know that all true Lladro's are made in Spain. 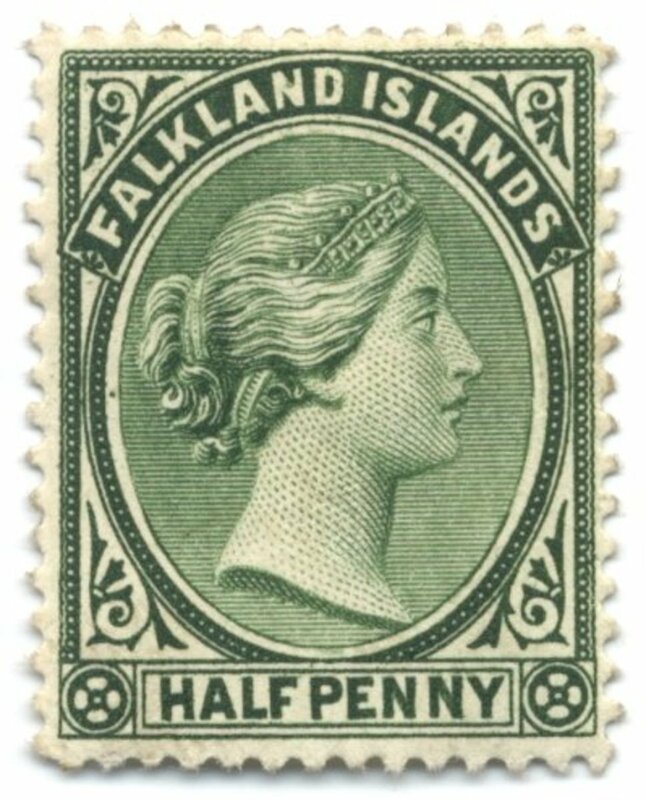 The blue stamp is the current mark, but don't assume you have a forgery if that stamp isn't there. The original blue stamp often bled so in the early 1990s the company redesigned it so that only part of the original symbol remained and so that clearer lines that allowed for more space were used. Early on, the original pieces were not marked at all. The company added a copyright notice for a period of time. It is "DAISA". Don't assume that the date on these pieces indicated the age of the piece as they actually indicate the age of the copyright. Below are a few of the authentic marks used prior to the current blue stamp. At one period in the 70's, Lladro' added a letter, a number, and then another letter. The first letter may have been a batching code, the second number was the day of the month, and the last letter was the first letter of the Spanish month, i.e. E was for Enero or January. This does very little to tell you about the year of production, but it is worthy to note that this coding does exist. Some pieces do have signatures of the artist. This is another making that would be hard to identify if the signature is authentic or added later. A key point about this marking is to know the source that you are buying from and to make sure that you can trust them. Know your source. Trust the source you are making your purchase from. If you are buying from an unknown source, know your marks. This article covers most marks. 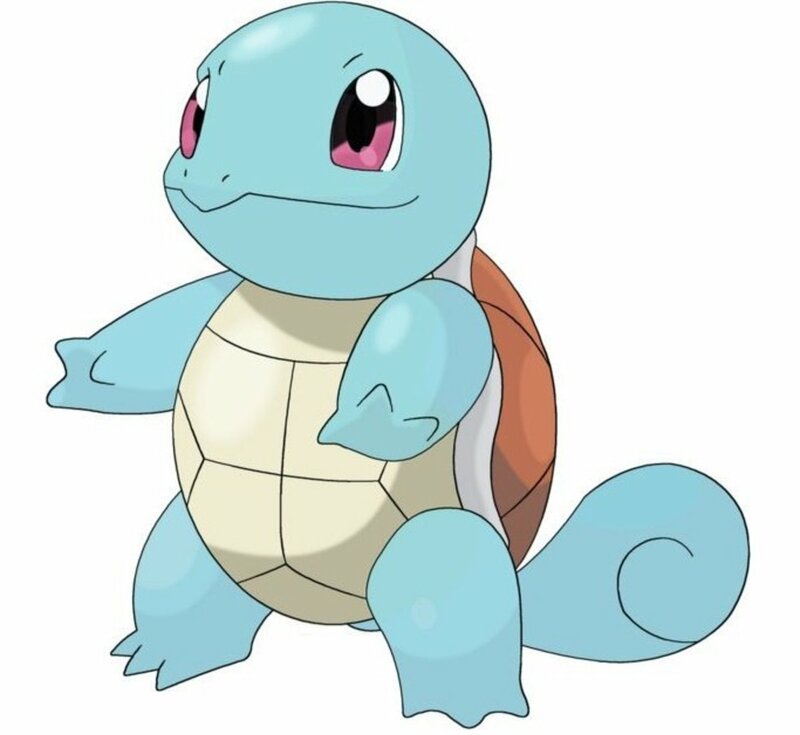 Remember that there is and always will be people out there that will forge fake pieces to make a profit, so if you don't know the source, at least like the piece you are buying. Lladro is beautiful workmanship. Thank you for your comment! One of my relatives used to college Lladro. The selection you featured is beautiful.